Forex Hero is an interactive and fun education app for those who want to learn currency trading. 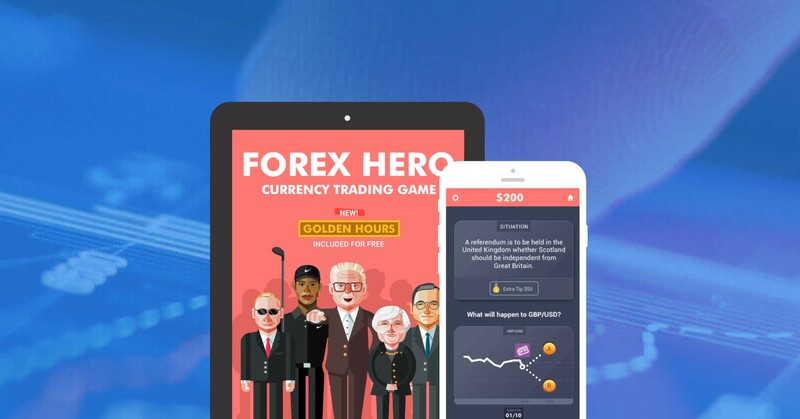 Forex Hero is an educational trading game for those who want to understand how forex and stock traders make money by analyzing speeches of politicians, weather forecasts. Economics is a field dominated by boring and bland learning materials. With Forex Hero, one of our goals was to create a resource that is boiled down to the most essential and effective information and methods needed to learn the currency trading. Simply put, Forex Hero provides the easiest way to understand how the currency market works. Forex Hero consists of four sections: * Illustrated School * Fun Quiz * Trend Predictor * Golden hours - the trading timing tool You will progress through the School and Quiz earning money along the way to unlock the Trend Predictor. The Trend Predictor is a fun trading simulator that lets you test whether you can predict the currency movements by analyzing short, 100% real-world situations.